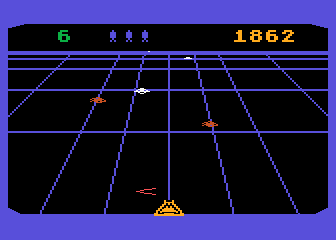 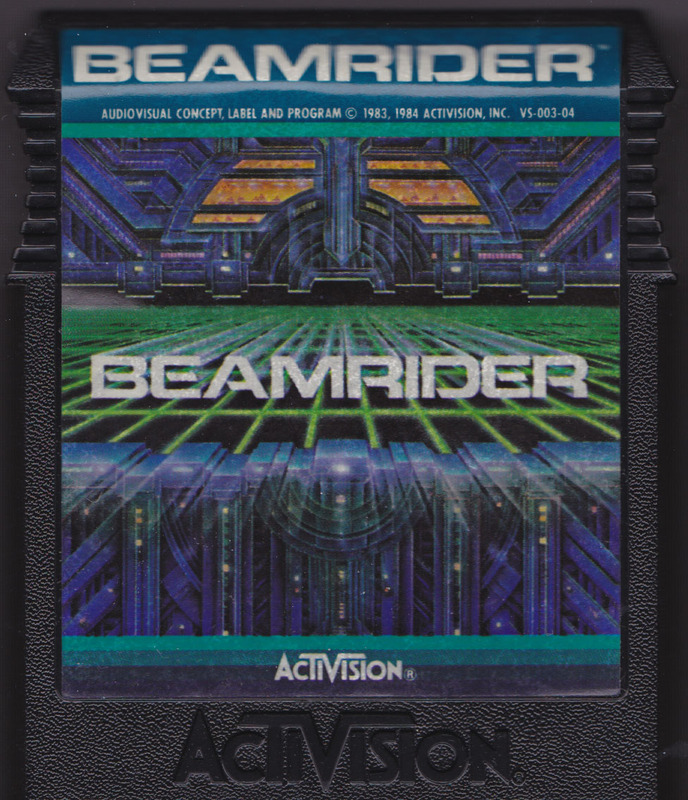 Beamrider was designed for the Intellivision by Activision programmer David Rolfe. 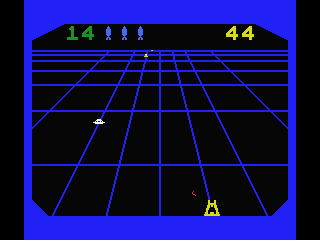 The game was then ported to the Atari 2600, Atari 5200, Atari 8-bit, ColecoVision, Commodore 64, ZX Spectrum as well as the MSX platform. 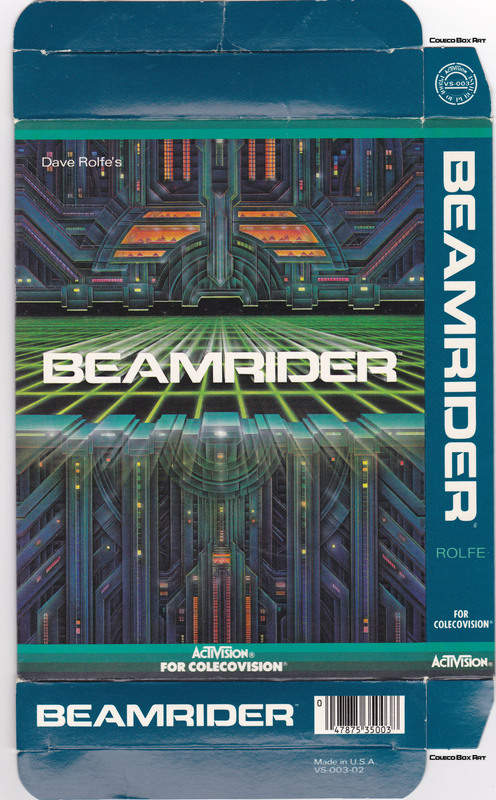 Beamriders are a breed all their own. 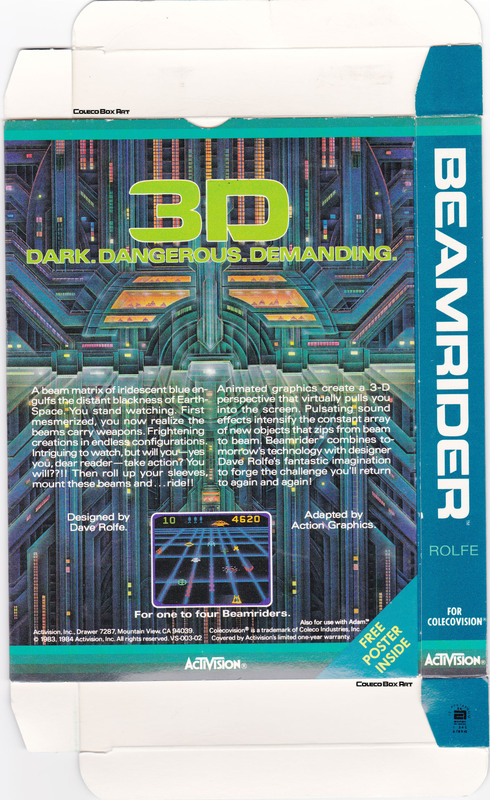 Part warrior, part astronaut and part daredevil. 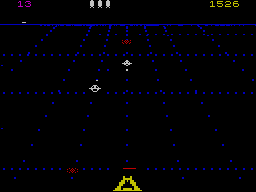 If that sounds like you, and if you've made it to sector 14 with a score of 40,000 points or more, join the club. 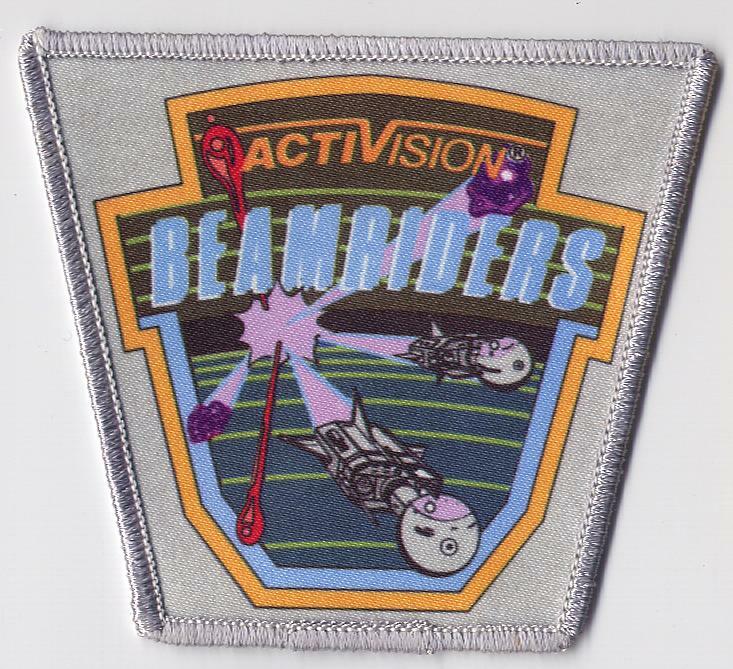 Send us a photo of your TV screen showing your sector and score, along with your name and address, and we'll send you the emblem that will identify you as an official Beamrider.